The Fasturn® tool can be used to make your own bias tubing for stained glass projects. By making your own bias tube you can make it any color you wish. Use batiste fabric, wash it first, make your tube and then apply 1/4" Steam-A-Seam 2® to the back side. You can position the tube exactly where you want it and steam it for a permanent bond. If you prefer to sew it down use either a twin needle or a single needle to sew the tube. 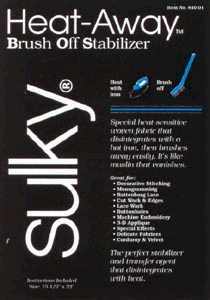 The Steam-A-Seam 2® does not gum up your needle. You can make your own bias tubing for pennies instead of dollars!! 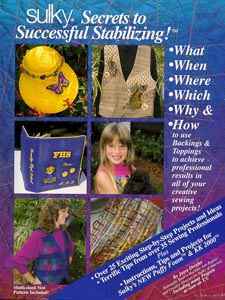 136 pages of What, When, Where, Which, Why and How to use stabilizing backings and toppings to achieve professional results in all of your creative sewing projects. Over 25 exciting Step-by-Step projects and ideas. Patterns included! 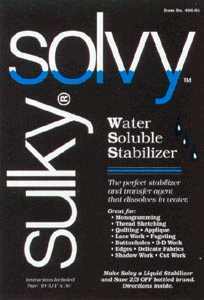 A heavier Water Soluble. 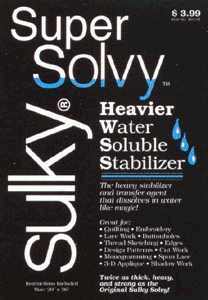 Twice as thick, heavy and strong as the original Solvy. Ideal for topping, pattern guide & napped fabrics. 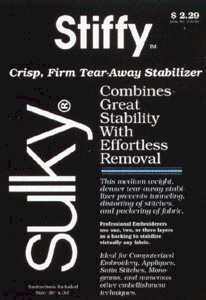 A perfect water soluble transfer agent and stabilizer. 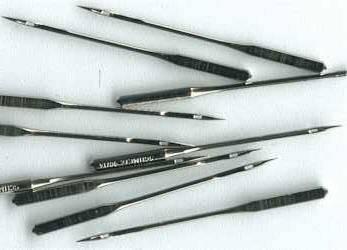 Ideal for monogramming, cut & lace work, embroidery and quilting. 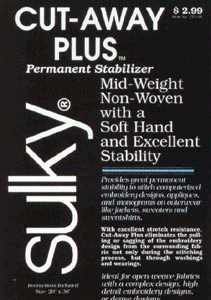 for permanent stability & stretch resistance. 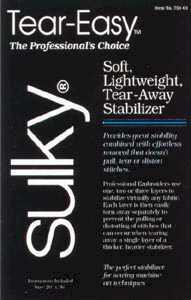 Self-Adhesive Tear away, ideal for hooped machine embroidery, and great for holding small areas.